Put an updated 'charm' on your classic pearl bracelet! 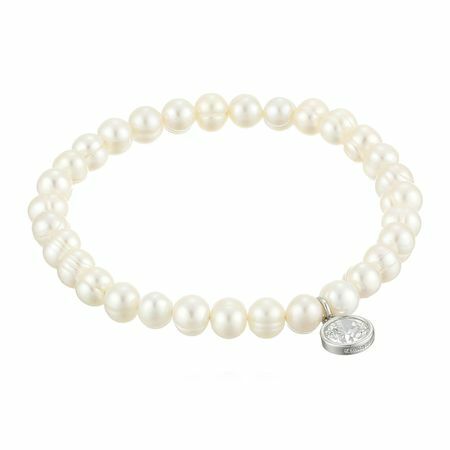 6-7 mm ringed freshwater cultured pearls are accented with a round-cut white cubic zirconia charm set in sterling silver. Piece measures 7 1/4 inches in circumference.